How Skilled Copyists Leave the Louvre with a Masterpiece Every Year #ArtTuesday « Adafruit Industries – Makers, hackers, artists, designers and engineers! A long tradition dating back to just after the French Revolution, each year Paris’ premier museum grants 250 permits to amateur and professional artists, allowing them to copy the masterpiece of their choice. The Louvre opened its doors to copyists in 1793, just one month after Marie Antoinette was beheaded and Louis XIV’s palace transformed into a public museum. It was then declared that any artist would be provided an easel free of charge to take up the challenge of painting a masterpiece. This still holds true today. But while the easels are free, artists around the world can wait for up to two years in order to be granted one of the limited permits. 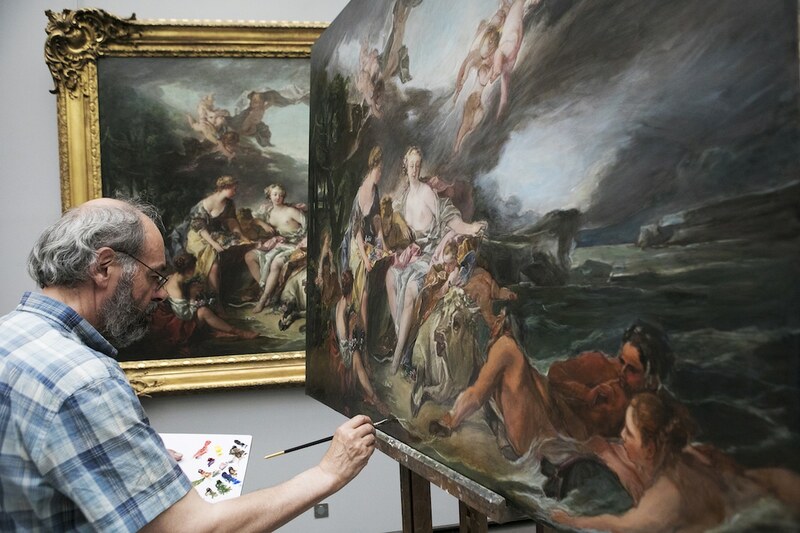 The Louvre copyists are allowed to work for up to three months, having access to the galleries from 9:30 am to 1:30 pm from September to June, except on Saturdays and holidays. Once their works are finished, they are inspected closely by officials from the Louvre, ensuring they meet the strict requirements. Canvases must be one-fifth smaller or larger than the original, and the original artist’s signature is not to be reproduced on the copies. 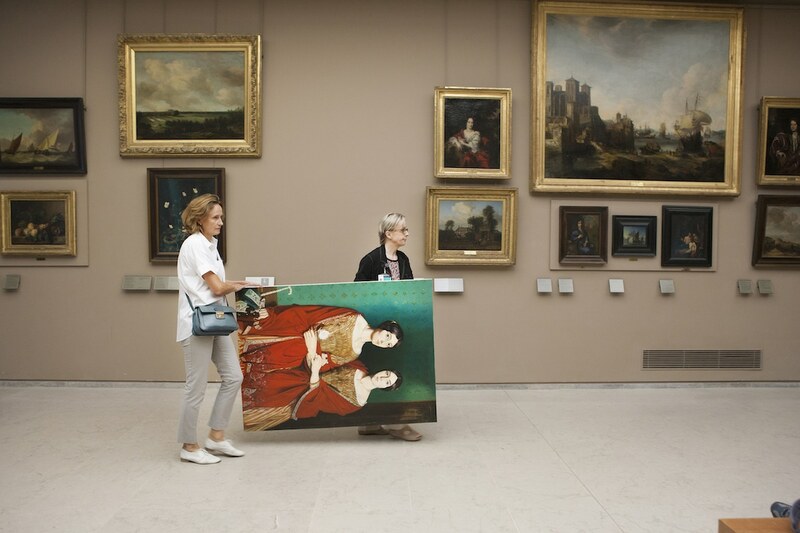 Once these safeguards against forgeries are met, they are stamped and signed by the head of the Louvre’s copy office and escorted from the building with their work.